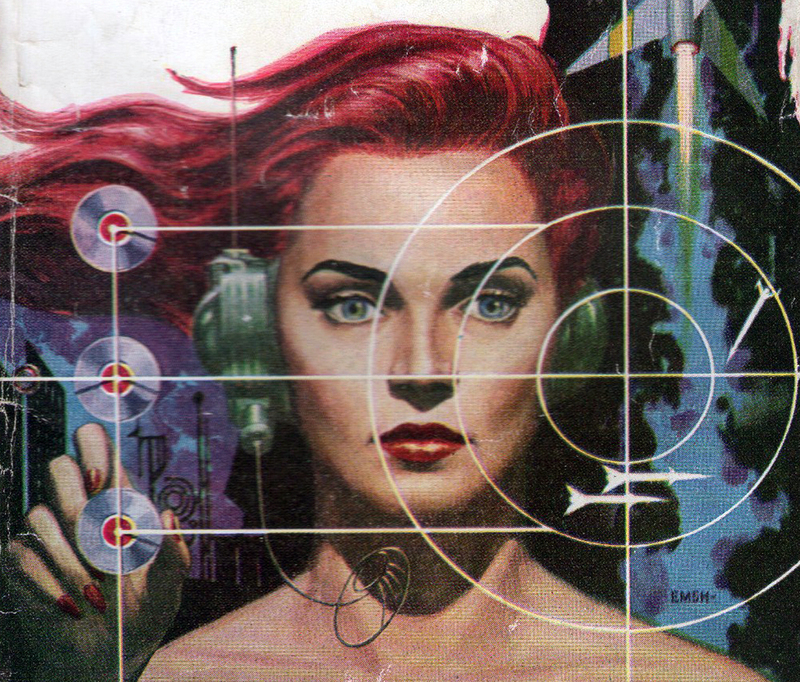 Illustration by American artist Ed Emshwiller (1925–1990) from the cover of November 1956 issue (“Women’s Work”) of Original Science Fiction Stories. Image courtesy of Science Fiction and Other Suspect Ruminations. When Damon Knight included Kate Wilhelm’s “Baby, You Were Great” in the 1975 anthology Best Stories from Orbit, he admitted that Wilhelm’s story, originally published in Orbit 2 in 1967, was a rejoinder to one of his own works, “Satisfaction,” which had appeared in Analog three years earlier and was later retitled “Semper Fi.” Knight was certainly in a position to know what Wilhelm thought of his story—they were husband and wife—but he doesn’t specify what motivated her to write something in response, except to note that she “disagreed” with his story’s point of view. Knight later explained how his own story came about: “I began to think about what it would be like if you had a gadget that would permit you to invent any vision you liked, store it, and retrieve and modify it at will.” One reviewer summarized his story as “a gentle projection of the step beyond TV, when everyone who has the money can live in a synthetic dreamworld.” We can’t be sure what about Knight’s tale stirred Wilhelm to write her own, but there’s nothing at all “gentle” about her deeply disturbing and harshly cynical vision of the future. The “gadget” in Wilhelm’s story harnesses visions by capturing the emotions of a live subject and distributing them as a form of mass media and, far from being a plaything of the rich, the technology becomes a voyeuristic opiate for the masses. 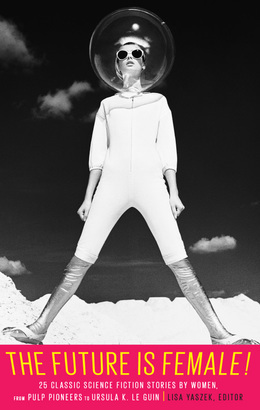 Today we are effectively no closer than we were in 1967 to achieving the capacity to transmit personal emotions and a subjectively-experienced sensorium directly from one person’s brain to another for commercial purposes, yet Kate Wilhelm's “Baby, You Were Great” does not suffer in quality simply because the technology it imagined shows no signs of arriving soon. The story works just as well on the level of metaphor as a meditation on media, celebrity, and the various forms of vicarious pleasure we obtain from our technologies—of the ’60s and today—and the fantasies of access that those technologies permit. Earlier this year, exactly three months shy of her ninetieth birthday, Kate Wilhelm died in Eugene, Oregon, where she had lived since the 1970s. A native of Ohio who spent her teenage years in Louisville, Kentucky, she sold her debut story, “The Pint-Size Genie,” to Fantastic in 1956 and became a regular contributor to genre magazines, writing more than one hundred stories during the following six decades. She married Damon Knight in 1963; together, they hosted the Milford Science Fiction Writers’ Conference from their home in Milford, Pennsylvania, and later cofounded the Clarion Science Fiction and Fantasy Workshop, launching a tradition of literary mentorship and mutual criticism that influenced countless careers. The author of more than fifty novels, Wilhelm remains most famous for Where Late the Sweet Birds Sang (1976), which won the Hugo and Locus awards for the year and was a finalist for the Nebula. In 2003 she was inducted into the Science Fiction Hall of Fame. John Lewisohn thought that if one more door slammed, or one more bell rang, or one more voice asked if he was all right, his head would explode. . . . If you don't see the full selection below, click here (PDF) or click here (Google Docs) to read it—free!